DES – Digital Business World Congress, the biggest global meeting on digital transformation, is putting the finishing touches to its second edition, which will focus on concepts such as the Digital Maturity Journey and take a holistic approach to all the implications of the change involved in the boom in digital business. Meanwhile, the ‘Trust Leap’ refers to society’s evolution in terms of who consumers/clients trust. According to Altés, “the 20th century was marked by confidence in institutions while the 21st is characterised by a trust that is spread out and based on responsibility.” Creator of the concept Rachel Botsman defines this leap as the relationship between trust and the unknown. The DES2017 commitment to the international scene is reinforced in this second edition, with the organisation developing a roadshow that will visit the European capitals with the world’s most important technological ecosystems. The United Kingdom, Ireland, Poland, Israel and Sweden have been some of the stops on the journey, where the organisation has also witnessed the general interest in “having a forum where companies can acquire knowledge about digitisation and get to know the best practice that will help them in their process,” says Lluis Altés. Resulting from this tour, the new edition that will take place in Madrid (IFEMA) on 23, 24 and 25 May 2017, with the aim of turning the Spanish city into the global digital transformation capital, will have international pavilions featuring several different countries, including Israel, China, Belgium, Poland and Sweden. The latter is also the second edition’s guest country partner. Don't miss an opportunity to empower your #business with #DigitalTransformation #DES2017! Sweden is the guest country partner for this second edition of DES – Digital Business World Congress, taking over from Israel. The country stands out on the global stage for its commitment to innovation and developing solutions and new business models linked to the digital economy. Sweden has connected the entrepreneurial world with major companies, the academic world and other successful entrepreneurs in order to facilitate not only the emergence of new companies, but also their development and growth. Companies such as Skype, Spotify, MineCraft, Candy Crush, TocaBoca and TicTail are just some examples of the success of Sweden’s vision regarding digital transformation. 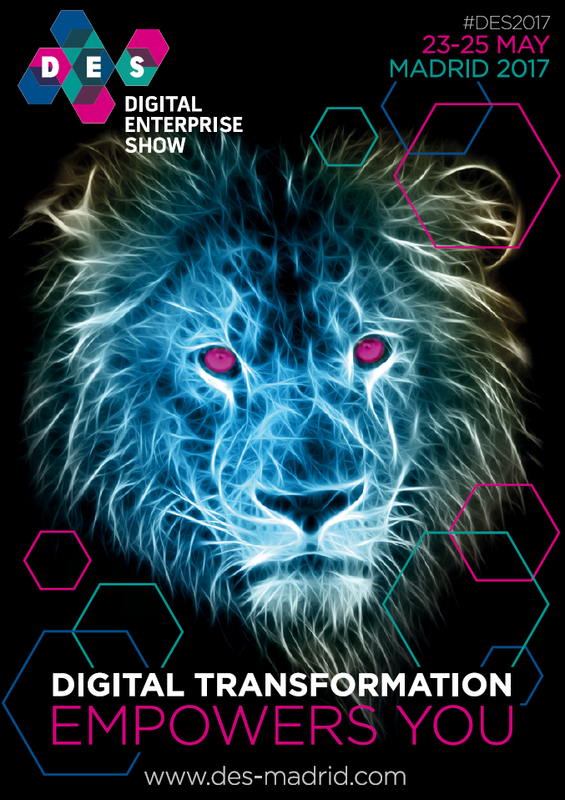 The first edition of Digital Enterprise Show brought together more than 18,000 professionals from 40 different countries in Madrid and the 2017 edition aims to emulate this success. Stand-out exhibiting companies included multinationals such as Accenture, Fujitsu, IBM, LinkedIn, Mediacloud, Microsoft, Salesforce, EMC, Everis, Google, HP Enterprise, Huawei, Intel, Oracle, Tecnalia, T-Systems, Vmware, Berepublic, Altran, CA Technologies, Dynatrace, Ericsson, FHios, Improove, Konica Minolta, Lenovo, SAS, Schneider Electric, Seidor, Siemens, UST Global, Banco Sabadell, Iberia, Booking.com, NH Hotels and Ferrovial.